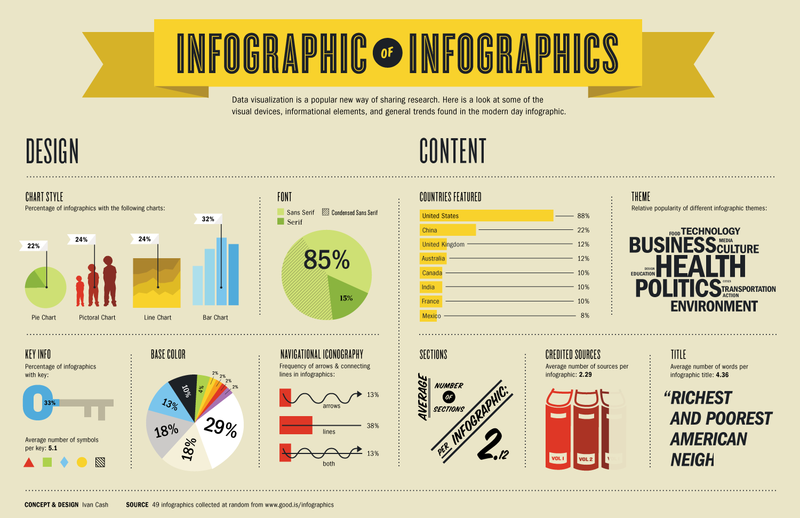 By now, you’ve probably heard about infographics. The secret has been out for a while, and they now seem to be everywhere. We at Canright like the way infographics can combine data and design to tell a story in a creative, engaging way. The graphical format is not only easy to understand—it’s easy to share, too. If your infographic compels people to share it online, it can really help spread awareness of your brand while also telling your business’s story. Visual.ly, a website for creating and sharing infographics, can give you a sense of the broad range of topics that infographics can cover. GOOD.is magazine keeps an updated list of infographics that tend to have an altruistic or educational angle. Econsultancy publishes a weekly list of the latest and greatest infographics. Upworthy’s mission statement is explained with an infographic. There’s even an infographic about infographics. Infographics can have a sense of humor, too, as The Oatmeal has discovered. As you can see, the rules for infographics are flexible. Businesses can use them to spread awareness, define their brands, present a value proposition, and much more. However, you must beware of the bad infographic! Keep in mind that it’s only worth creating and sharing if it engages your audience while delivering the right message. Previous Previous post: My, how blogs have grown!